Let me start by saying that I believe wholeheartedly in acupuncture. It helped me manage a knee injury more effectively than going through physical therapy for 6 months, and I get treated routinely to manage my back. Honestly, I wasn’t even aware of the burden of student loan debt for acupuncturists and what they face until I had 5 consults in the last 2 months out of the blue. After hearing their stories and doing some research, I’ve realized acupuncture student loan debt is a real problem. Many have 6-figure acupuncture college loan debt, run their own practice, and have had to take on some credit card debt as their business ramps up. But there is an attainable path to face their student loans, and get rid of it. I’ll show you a case study and get into how to pay off acupuncture student loans below. The practice of Acupuncture and Oriental Medicine goes back millennia, but here in the US, licensing and regulations are fairly new and vary widely from state to state. In more populated states like California and New York, a Masters in Acupuncture and Oriental Medicine (MAOM) is not enough. Acupuncturists who practice there most likely need to pay for more schooling to get their doctorate (DAOM). New York requires 4050 hours of didactic and clinical work; 60 semester hours including 9 semester hours of biosciences. California requires 3000 hours of study in curriculum pertaining to the practice of acupuncturist from an accredited school; 50 hours of continuing education every two years; additional hours of training in herbal medicine and the passing of an herbal medicine exam. But in Pennsylvania, you don’t even need to complete a degree. You only need 2 years of schooling and to pass the NCCAOM exam. 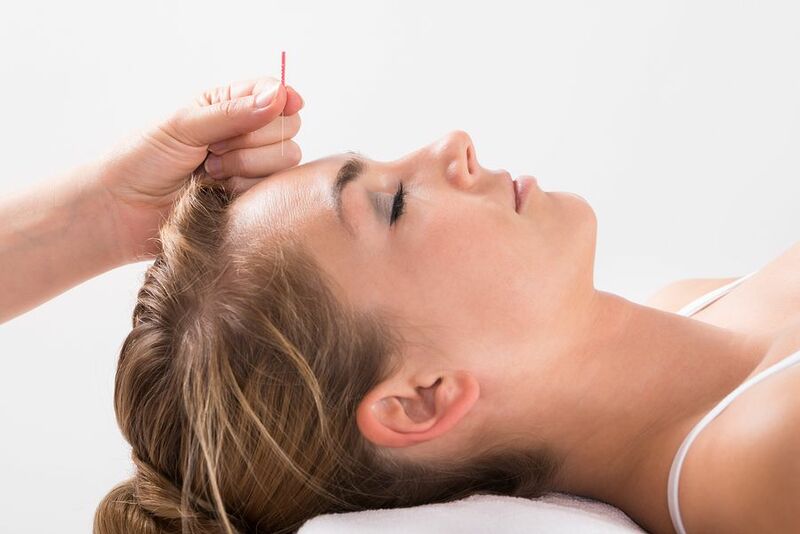 Most acupuncturists get a quality education and training from schools like Pacific College of Oriental Medicine (PCOM), Oregon College of Oriental Medicine (OCOM), Emperor’s College School of Traditional Oriental Medicine, and others. But since the state regulations vary widely, there are plenty of scammy acupuncture schools who take advantage of aspiring acupuncturists. Fortunately, I haven’t heard about too many people in that situation, but I know it exists. When someone decides to get their Masters or Doctorate in Acupuncture in Oriental Medicine, the MAOM or DAOM, chances are they’re not in it for the money. Doctors of Acupuncture are caring individuals who want to heal people and help them manage the physical and emotional stressors in their lives. There is a significant cost to pursue their passion, but the cost is so large that it just doesn’t register. It’s kind of like looking for a house intending to spend no more than $250,000 but you end up spending $290,000. On the surface, it doesn’t seem like that much more, but in reality, the $40,000 difference is a ton of money. You could take 10 separate $4,000 vacations, fund your IRA for 7 years, or buy 2 – $20,000 cars for cash. When it is framed like that, it’s much easier to see the difference in cost and the significance of the decision. I’m sure that many acupuncturists know the cost and it’s worth it to pursue a fulfilling career. Running a business is challenging for anyone, and acupuncturists are no different. If starting a practice in New York or California (and in most places for that matter), acupuncturists are not paid their full rate starting out. Often, they have to resort to Groupons to get people in the door. Many acupuncturists start out making $20,000 to $30,000 their first year out of school. It’s tough to make ends meet early on so carrying some credit card debt is the norm on top of 6-figure student loan debt. Business picks up after a few years when they start getting recurring business from their referral network including patients, the VA, doctors, chiropractors, counselors, and therapists, etc. Next is all about facing the growing student loan debt but it’s tough to look at. The acupuncturists I’ve worked with have an average of $211,000 in student loans with a 7% interest rate and earn about $40,000 to $60,000. If this is similar to your situation, you may be wondering will I ever be able to repay my student loans? If they were to take an aggressive approach by paying back their loans on the 10-year standard plan, their monthly payment would be $2,450 per month. That works out to nearly 75% of take-home pay and is a non-starter. Many already have credit card debt to go along with their student debt too. When faced with numbers like that, it’s natural for any person to retreat and avoid looking at it. Just put it into deferment or forbearance and never face it until you have to. Doesn’t it feel like student loan repayment was designed to be confusing? Graduated, Extended, Standard, PAYE, REPAYE, IBR, Consolidation, Refinancing. Blech! All of this terminology is the least likely thing to make an acupuncturist feel like they can take control of this situation. With large debt, limited income, and unreliable information, it’s no wonder acupuncturists avoid facing their student loans. Lily finished her Masters of Acupuncture and Oriental Medicine 5 years ago and has spent the last 3 years running and building her own practice. She has $230,000 in student loan debt at 7%. Her income is $50,000 and is projected to grow to $70,000 over the next 3 years. She’s been on IBR (income based repayment) for the last 3 years. Lily is in a serious relationship but is not planning to get married anytime soon due to her student loans. As far as monthly payments go, Lily mentioned that her student loan payments on IBR were manageable and she could throw another $300/month at them if she had too. First off, we can rule out refinancing due to the hefty payments compared to Lily’s income. She’s paying $402/month on IBR, but there’s no way she can commit to a $2,440 monthly payment for 10 years. She’s only taking home about $3,500/month. Aside from her monthly payments, her current path on IBR is looking very costly compared to refinancing and REPAYE (revised pay as you earn). If we look at the total out of pocket cost, IBR is projected to cost her $82,000 more vs REPAYE. Why is REPAYE so much cheaper? First of all, IBR payments are 15% of “discretionary income” and REPAYE is 10%. That means that Lily’s monthly payments on IBR ($402/month) are 50% more than they would be on REPAYE ($268/month). Secondly, REPAYE is projected to give Lily an interest subsidy which will slow down her loan growth compared to IBR. Yes, that’s right, she’d have lower loan payments and her loan would grow slower than it would too. If you look at the monthly payment columns, you’ll see that the IBR payments are 50% higher than REPAYE each year. Paying less toward her loans would normally mean that her loan balance would grow faster than IBR, but if you look at the total owed columns, you’ll see that Lily’s loan balance is $272,053 on REPAYE after 8 years as compared to $299,810 on IBR. It all has to do with the interest subsidy. A loan will grow if the payments don’t cover the interest charge on the loan. In Lily’s situation, her interest charge for the year would be $16,100 on other income-driven plans ($230,000 x 7% interest rate). With REPAYE, you’ll notice that the interest charge is about $6,500 less ($9,659). Her loan should grow more on REPAYE compared to IBR because she’s paying $1,600 less over the year but the interest subsidy on REPAYE will cut the growth of the loan in half. Lily not only saves $1,600 in loan payments for 2018 compared to IBR but the federal program kicks in $6,442 to cover interest. That’s saves her $8,042 in 2018 alone. After Lily makes 25 total years of payments on REPAYE or IBR, her loan balance will be forgiven. The forgiven balance will be taken as income on her tax return in the year the loans are forgiven, so she’ll pay income taxes on that forgiven balance. We call it the tax bomb. If we assume she’ll be taxed at 40%, then she’s projected to owe about $140,440 when the loans are forgiven. That amount is nothing to sneeze at but remember that Lily has 22 more years (since she’s already 3 years into the program) to save up that money. If she sets aside $322/month for the next 22 years and earns an average return of 5%, then she’ll have the money to pay the taxes. That’s a pretty manageable amount when it’s broken down that way. Plus, it fits in well with her budget since she’ll be saving about $140/month in payments on REPAYE and she had capacity to put an extra $300/month toward her loans. Rather than putting it toward her loans today, she can save up for the taxes instead. All she has to do is let her loan servicer know that she’d like to switch from IBR to REPAYE. Just a quick call unless she wants to do it online. She’ll also need to set up an account to start saving for the tax bomb preferably with a low cost, reputable investment company that will set her up with an appropriate strategy. If she has a rapid increase in household income due to her practice growing exponentially or getting married, then she’d want to re-evaluate and see if staying on REPAYE is the way to go at that point. In the end, the savings are just part of the benefit. Now she has a clear path to paying back her student loans and feels relieved to finally understand her path and action steps. Acupuncturists can find a clear path to pay back their student loans. 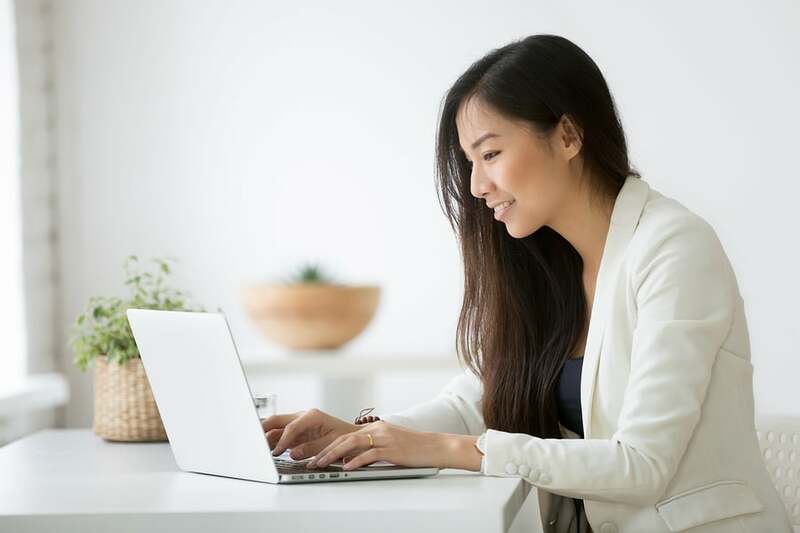 A path that could save them tens of thousands of dollars out of pocket and figure out how to manage their student loans so they can focus on the passion that drove them to acupuncture and oriental medicine in the first place. Student Loan Planner has done over 1,200 student loan consults for clients advising on over $350,000,000+ of student loans. We can help you figure out the optimal path and give you the action steps to get it done in just 1 hour. Rob (the author of this post) works with borrowers who owe between $200,000 to $400,000. He’s usually the point person for our student loan debt for acupuncturists consults. Feel free to email him at rob@studentloanplanner.com. Are student loans keeping you from pursuing your career and financial goals as an acupuncturist? Share your story in the comments. Thank you so much for writing this article! This is the first and only article I’ve found with information that’s tangibly helpful for acupuncture students- and also validating re: the situation we are in, and that we are passionate about this medicine even at these costs! When I look at the my Repayment Calculator on studentloans.gov the PAYE option looks to be less each month, with more forgiven in the end, than REPAYE. Can you explain what the difference between these two are? Thus far all I can find is that PAYE is better if you plan to file taxes with a spouse/are married. I am single, but think there’s a chance I’ll want to marry in the future should I choose PAYE instead? Please explain why you only highlight REPAYE in this article and not PAYE and any major pros and cons to each.